Jennie and Alick Glenroy arrived in Maine with nothing, not even their names, starting anew in a different land, leaving the turmoil and violence of Scotland behind them. Almost twenty years later, the "Godless Glenroys" are a prosperous, though sometimes controversial, family. Alick is the proprietor of a successful shipyard, and Jennie has raised their five children to think for themselves, a trait that occasionally raises the ire of their staid neighbors. 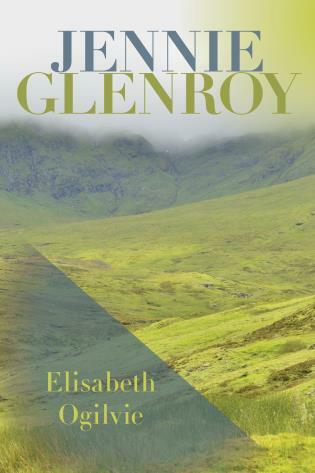 The Glenroys find themselves facing issues that they've long been sheltered from: slavery, enmity, and violence. Jennie and Alick must defend their children against malicious accusations and guide them through the trials of adolescence, but also allow them the independence and space to grow into intelligent and principled adults. When a figure from their fugitive past sails into town, everything they have worked to build over the past twenty years is in danger of being torn asunder; ultimately they must face these new challenges with the same courage and persevering spirit that carried them over Highland mountains so many years before. Elisabeth Ogilvie wrote 46 books including Jennie About to Be, The World of Jennie G., and the Tide Trilogy. In 1947 she won the New England Women’s Press Association award for Storm Tide. Ogilvie grew up in the greater Boston area, but lived in Maine from 1944 until her death in 2006 and remains one of Maine’s best loved writers.